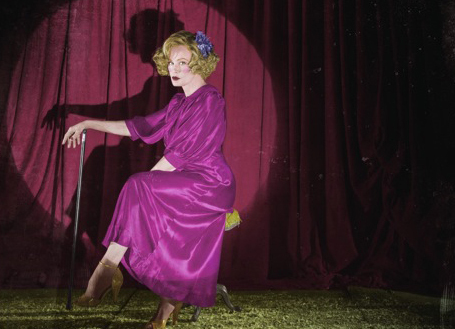 With just one episode left, it is pretty safe to say that “American Horror Story: Freak Show” is pretty terrible. Or, at least, terrible compared to previous seasons like “Asylum.” It’s a shame too, because this is the final season for Jessica Lange, the matriarch of the show. “Freak Show” has disappointed in many ways compared to previous seasons: no cohesion, dead-end subplots, boring and unsympathetic characters and, most damningly, a lack of horror. For a show titled “American Horror Story,” “Freak Show” has not delivered on its horror premise. Instead, it has devolved into a campy dramedy with the occasional gruesome murder. The only terrifying aspect was the murderous Twisty the Clown, and he was killed off a couple of episodes in. The story arc of Dandy the Rich Boy as the main villain, which was set up by the murder of Twisty, has completely collapsed. He now only occasionally surfaces to showcase killer fashion and look pretty. The suspense and darkness of earlier seasons has evaporated. In a show with numerous memorable dark characters, the characters of “Freak Show” have been duds. Not one has been captivating as Sarah Paulson as Lana Winters and Lily Rabe as Sister Mary Eunice in “Asylum.” Rather, they all are highly unpredictable, illogical and unsympathetic. The characters’ unpredictability, instead of being captivating, is eye roll-inducing. Lange’s Elsa Mars is perhaps most disappointing, as the character is a retread of Fiona Goode from “Coven.” For many, the only interesting character is Dandy Mott, and that’s mostly because of his attractiveness. The boring characters are a casualty of messy and lazy writing. While the previous seasons of “American Horror Story” were all messy, “Freak Show” lacks a main plot or concept, as opposed to “Coven,” which was devoted to discovering the next Supreme. “Freak Show” instead has many subplots taking place in their own vacuums in the freak show with little interaction. Characters are killed off for no reason, resulting in awkwardly-ending story arcs. “I want to make it up to the freak show. I am a changed person,” Emma Roberts’ Maggie declares in the penultimate episode, only to be sawn in half two scenes later by Neil Patrick Harris’s crazy magician (major side-eye there, Ryan Murphy). Multiple story threads need to be tied together in the season finale, which will most likely turn out to be a massive mess. “American Horror Story,” one of my absolute favorite shows in seasons past, is on the edge of becoming yet another disappointing Ryan Murphy show. This season has been anything but terrifying and lacked any amazingly awful characters the show is so well-known for. With Lange herself moving on from the show after “Freak Show,” we should think about doing the same.